The Texaco gas station was family-owned, and at this corner since the early 1970’s. They were willing to pump gas for you upon request and check under the hood. I was often tempted to go there just for the experience of being waited on at a gas station again like back in the day but never did because the cost of their gas always seemed so high. The gas station is closed down now. So what’s the new plan for that corner? A 7-Eleven will take over the structure of what was the service station, but they’ll be selling gas there as well. Don’t know yet if the brand will continue to be Texaco. Sadly, the Nirvana Grill that was next to Cal-Med Pharmacy is gone now also. They still have a restaurant in Laguna Beach. And the last bit of news is about Ranch Market. They’ve just signed on to become a participating merchant with a global shopping rewards program which will go into effect in early March. Shopping members will receive cash back on their entire purchase just as they do with other participating merchants, such as for gas, drug stores, pet stores, home improvement stores, mechanics, etc. I’ll keep you posted on the exact day cash back rewards will be available for those eligible. For more information on the shopping rewards program, shoot me an email at robin@robinbarr.com. I’ll tell you this much right now, membership is free. One of DeNault’s Hardware Stores has closed. 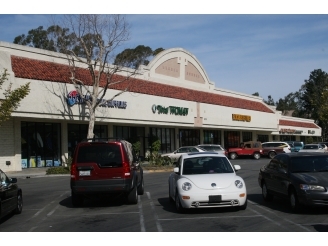 It’s the one at Marguerite Pkwy and Santa Margarita Pkwy, next to Sprout’s Farmers Market in Mission Viejo. Not to worry, their bigger store at Marguerite and Oso is still alive and kicking. Petco will be taking the space left by DeNault’s.